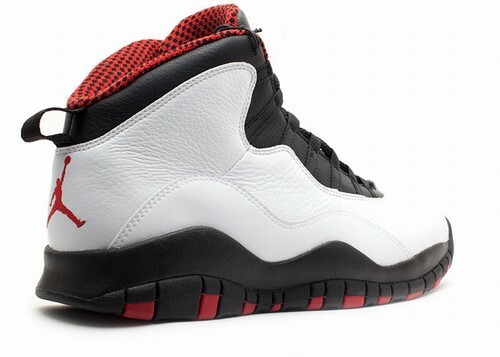 This is a pair of Air Jordan X (10) "Chicago" Retro 2012. 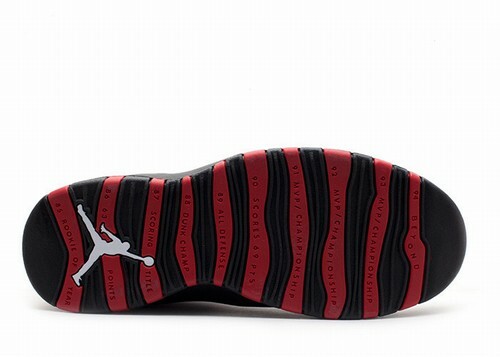 The Air Jordan X (10) marks MJ's comeback from his first retirement. He returned in the 1994-1995 season with the simple phrase "Im Back". He played 17 regular season games wearing these AJ Xs and reached the Eastern Conference Finals, averaged 31 points per game in the series, but lost to the Orlando Magic. 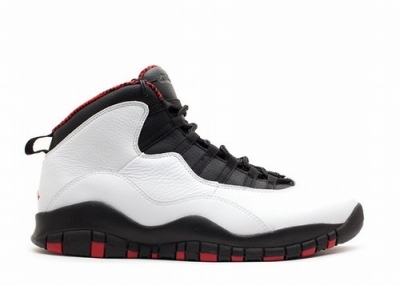 For that short period of time he wore "45" and the OG (original generation) Air Jordan X had a number 45 embroidered on the ankle.